Prior to the start of Open House at 10:00 a.m., attend the Graduate Student Panel from 9:30 a.m. - 10:00 a.m. in the Campbell Student Union Assembly Hall. The Graduate Student Panel is your opportunity to get your questions about graduate study at Buffalo State answered by some of our graduate students. If you are interested in attending the panel, please arrive on campus by 9:15 a.m. The Graduate Open House will highlight our master's degree programs, certificates of advanced study (C.A.S.) programs, graduate certificate programs, and post-baccalaureate teacher certification programs. Buffalo State has enjoyed a long distinguished history of preparing highly effective teachers, educational leaders, and professionals. Other applied professional programs include Multidisciplinary Studies (with tracks in Individualized Studies and Data Analytics), Adult Education, Applied Economics, Creative Studies, Great Lakes Environmental Science, Higher Education and Student Affairs Administration, Museum Studies, Professional Applied and Computational Mathematics, Public Administration (M.P.A. ), and Science Education, to name a few. 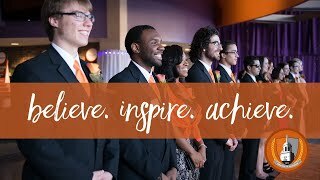 A complete list of graduate programs offered at SUNY Buffalo State. Complete the online registration form to attend the event. Contact the Graduate School for more information.